Taste some Old Florida cooking at this local dinery, with live music, happy hour specials, and quaint outdoor and indoor dining. On the road next to the Home Depot. Creekside Dinery is a St. Augustine restaurant that offers a taste of Old Florida. This restaurant offers a delicious Florida Low Country Cooking style, with a distinctive Southern Cuisine accent. They have a special emphasis on plank cooking—baking fish, chicken and steak on a 1" thick oak plank that seals in the juices and imparts a subtle wood flavor to the meat. 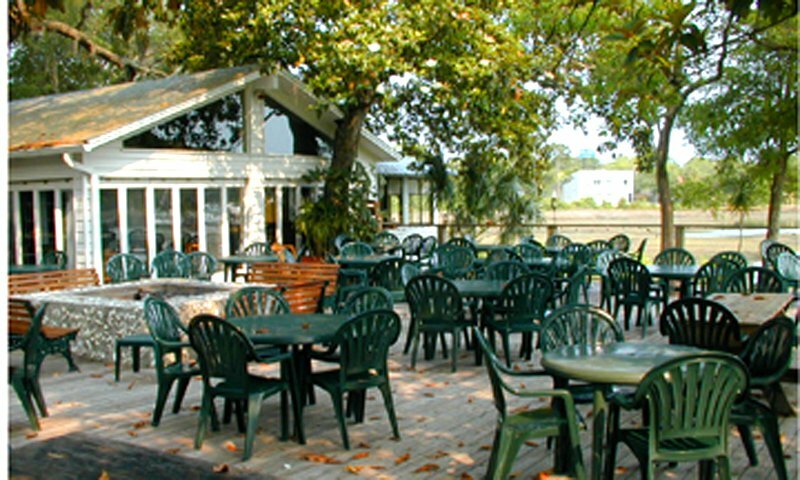 Creekside Dinery is nestled on a 3.5 acre plot with large canopy Magnolia and Oak trees, overlooking Gonzales Creek. 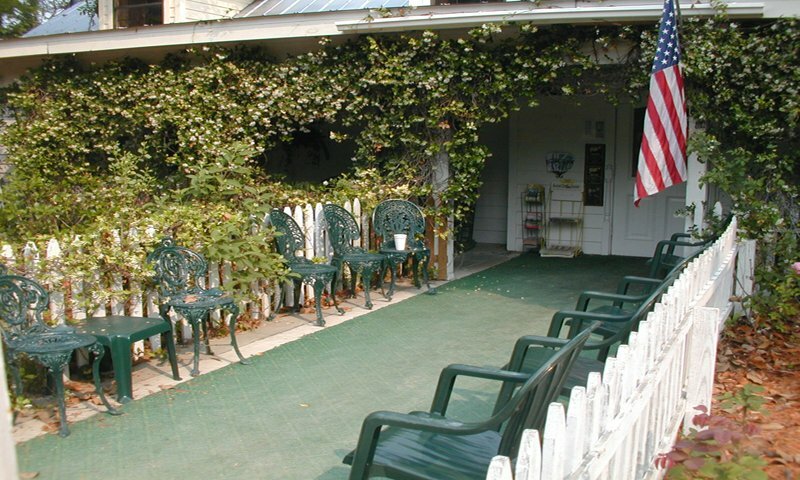 Indoor and outdoor seating is available with fun live music performances on weekends. Choose from three separately themed dining rooms inside the restaurant, as well as a comfortable bar area that opens onto a large outside deck. At Creekside Dinery, customers can dine or enjoy drinks with friends under the majestic magnolias and listen to the soothing sounds of some of the area's finest local musicians. Creekside Dinery offers daily dinner specials, including appetizers, combos, and samplers. Creekside is only open for dinner, and during summer months they are closed on Mondays. Happy Hour is offered Sunday through Thursday, 5–7 p.m., with two-for-one drinks. Creekside Dinery is located on the road just left of the Home Depot plaza. 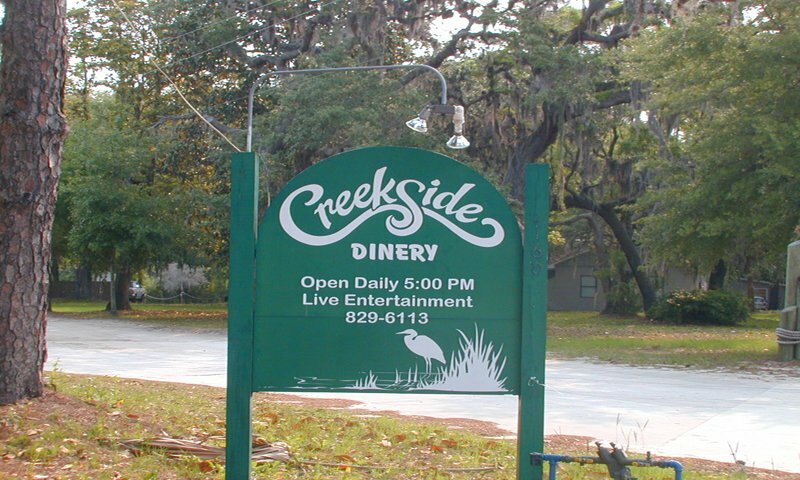 Creekside Dinery features live music Thursday through Sunday evenings from 5:30 - 8:30 p.m.
My husband and i ate here when we came down from north ga. for bike week in daytona. we stayed in st.augistine for 3 days and we loved Creekside sooooo much we ate here with your friends as much as we could. we are planning a trip next may with the kiddos...and we WILL be eating here again as much as we can!!!! best food in FL!!!!!! Always loved the plank fish until my husband and I got food poisoning. The rest of our group was find but they didn't eat the same thing we did. Also, I was a little creeped out by the wild cats hanging around the porch. Especially the one with an open wound on his back. We try to come here when we are in the area. Get here early because there is most likely going to be a wait. Try the fish on a plank. Please Note: Your email may take up to 2 business days to be delivered.